Our survey shows that companies have a sophisticated understanding of the cloud and its benefits—and have ambitious plans about which applications and data they are moving to the cloud. 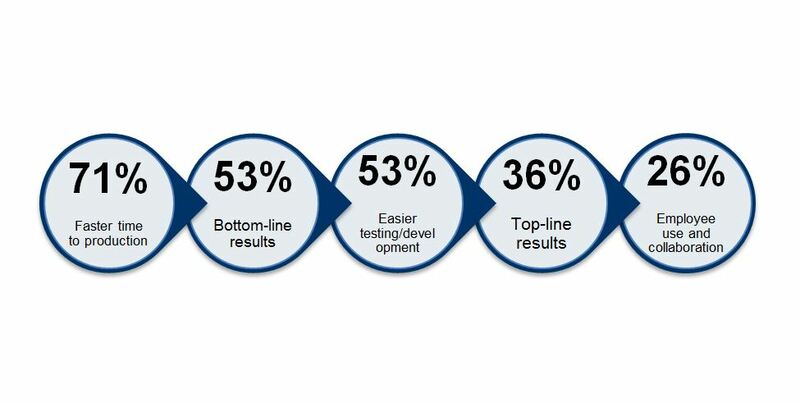 But without a well-defined strategy in place, companies may still run into problems. As you can see in the chart of our total respondents below, a majority of firms have an understanding of their options, but strategies and metrics are in short supply. These numbers differ by industry as well. Professional services firms are significantly more likely to say they have an understanding of cloud options (66%), whereas retail lags by a wide margin—only 41% of those companies say so. 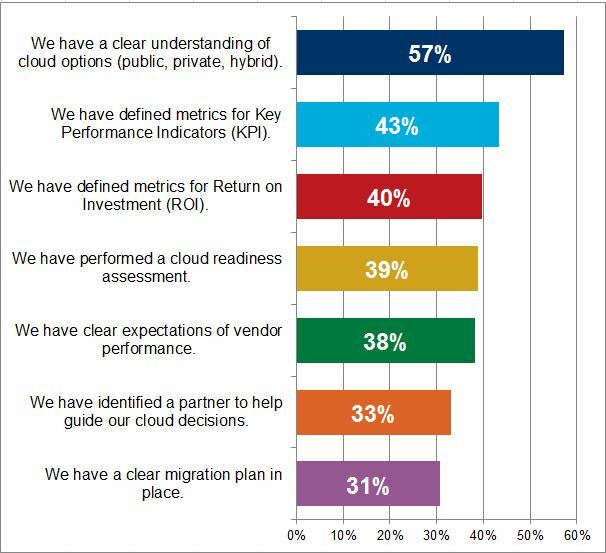 Government and education are most likely to have clear expectations of cloud performance (49%), likely due to legislation and regulations in place for their cloud migrations. Less than a third of our total survey respondents say they have a clear migration plan in place, which may spell trouble further along the path to value for these firms. This is especially true for financial services companies: only 20% of those respondents say they have migration plans. Government and education again lead the industry pack here—39% said they have a plan. In case you missed it, you can read more about cloud strategy in our think piece on the topic.